The Alcatel Lucent 7705 Service Aggregation Router (SAR) has been rebranded as the Nokia 7705 SAR due to Nokia’s 2015 acquisition of Alcatel-Lucent. While the name has changed, the device and its quality has not. We’ll refer to it as the Alcatel-Lucent 7705 SAR because Worldwide Supply specializes in refurbished equipment and repairs, so you’re likely looking at a 7705 that mentions Alcatel-Lucent. We still recommend that network operators of many assorted sizes hang on to their used Alcatel-Lucent 7705 SARs or pick up a refurbished model to grow your network because of the device’s strength, reliability and support for existing and future networks. The Alcatel-Lucent 7705 SAR supports the latest in mobile backhaul solutions for mobile operators and other organizations expanding either legacy or advanced IP service deployment. We offer multiple platforms to meet a variety of energy and footprint requirements while still supporting the network topology you prefer. The Nokia or Alcatel-Lucent 7705 SAR is a feature-rich router designed to help networks of all sizes scale with ease across IP and MPLS. Add a significant number of end users and applications without needing to grow your infrastructure further. The system comes in a variety of form factors and deployments to support your network as you need it. Indoor and outdoor solutions are available with multiple mounting options as well as PoE and enhanced temperature resilience. The Alcatel-Lucent 7705 SAR includes a hardened model that can be used in harsh environments thanks to its conformal coating and fanless design. The platform supports copper, fiber and microwave uplinks to match your network and support a wide range of interfaces. Grow in the areas you need to with the Alcatel-Lucent 7705 SAR. 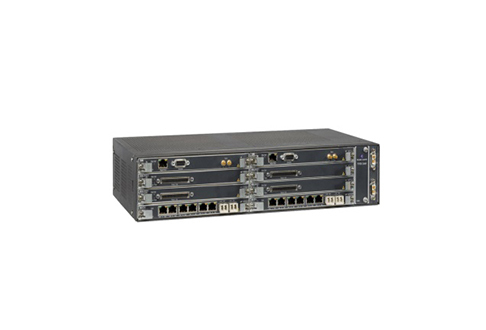 Below, you’ll find many of these new and used Alcatel-Lucent 7705 SAR variants that can save you significantly while expanding your reach. Worldwide Supply is a leader in industry pricing for devices like the Alcatel-Lucent 7705 SAR. We can work with you to meet your budgetary constraints. However, there are other benefits of the 7705 that you should be aware of first. Refurbished Alcatel-Lucent 7705 SARs accommodate bandwidth growth and enable migration from circuit-based transport to IP/MPLS transport, enabling you to ease transitions and add new services. Microsecond timing and synchronization ensure proper routing and packet delivery, plus you get advanced 7705 SAR firewall support. New and used models come with Layer-2 capabilities including support for VPN services, virtual leased line and VPLS, among more traditional IPv4, IPv6, IES and CES capabilities. Multiple security management tools, resiliency options, QoS packages and traffic management solutions are supported to give you a platform designed specifically for your network’s benefit. Save up to 80% off original OEM pricing with a used Alcatel-Lucent 7705 SAR. These units are thoroughly tested and reviewed, ensuring you get quality and affordability. Use the options below to discover that best in Alcatel technologies at a price that your network can absorb, with enough budget room left over to keep growing.